I was first introduced to, but didn’t foresee the longevity of, Floyd Friday by my acclaimed Art teacher back in High School. The Wall (the film, not the album), Division Bell, and sometimes the occasional P-U-L-S-E (with its eternal blinking red light nestled atop the compact disc player in a neat row with the remainder of Floyd’s catalog) were always anticipated week-ending ear-treats throughout my Junior and Senior years. 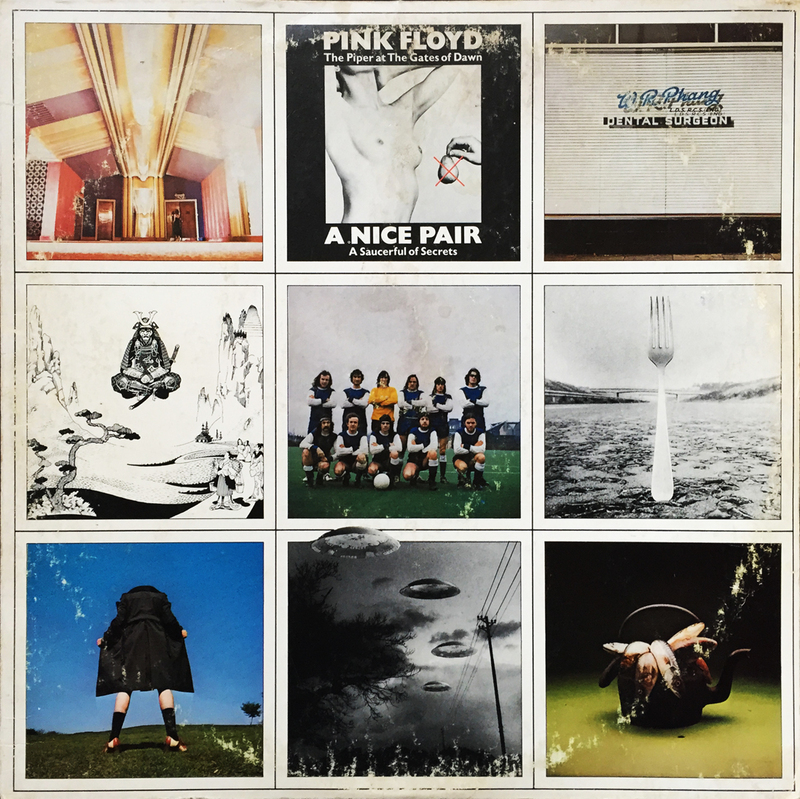 It wasn’t until many years later that I unearthed the “real” essence of Floyd’s work… their early albums. 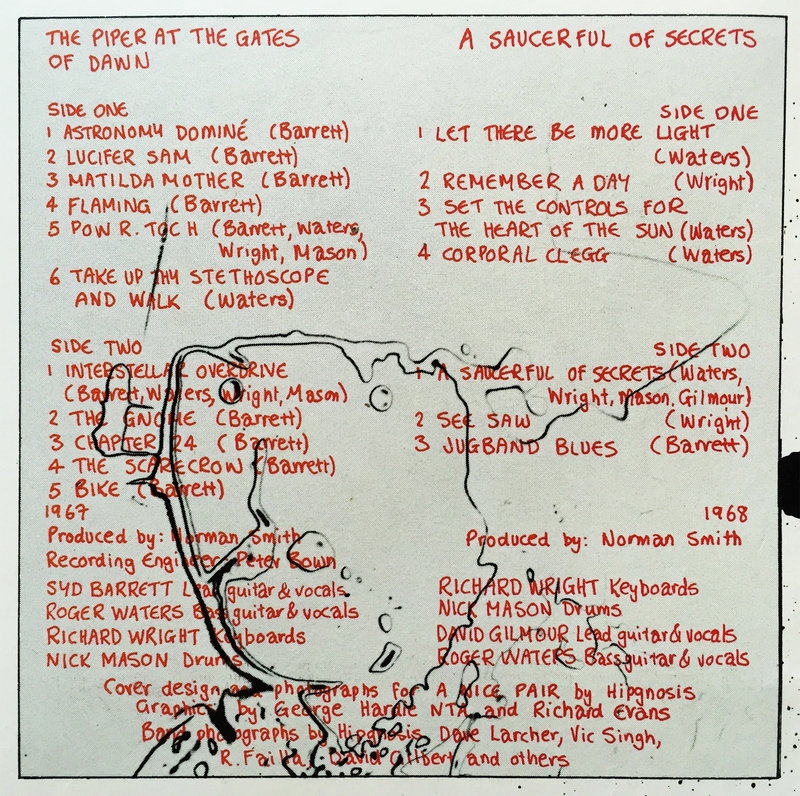 Featured here is a poor man’s comp of their first two albums Piper at the Gates of Dawn and A Saucerful of Secrets. Gone are the wistful guitar-driven soundscapes and jazz-influenced saxophones found in Division Bell, and pleasingly pleasant are layer upon ominous layer of experimental, carnal, and brilliant psychedelic drug-rock. The appropriately titled A Nice Pair is an affordable option for someone looking to bath themselves in the radiant dawn of Floyd, and is, in my humble opinion, by far the band’s best recorded work. Happy Floyd Friday, everyone!